No Dental Insurance? We Have The Answer! Skinner Family Dentistry strives to improve the overall health of our patients by focusing on preventing, diagnosing and treating conditions associated with your teeth and gums. Please use our dental library to learn more about dental problems and treatments available. If you have questions or need to schedule an appointment, contact us. Cleft lip and cleft palate are among the most common birth defects, estimated to affect around one in 700-800 babies born in North America. Both problems result from the incomplete formation of anatomical structures (the lips and the palate, or “roof of the mouth”) which develop during early pregnancy. These conditions may occur separately or together, and they can have a wide variation in severity. With proper treatment, however, in most cases the child has an excellent chance of leading a healthy, normal life. 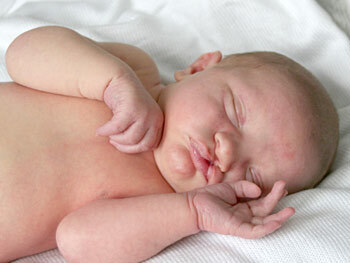 Besides the noticeable irregularity in appearance, a cleft lip or palate can cause difficulties with feeding and speech. Both conditions are also associated with ear infections, hearing loss and dental problems. To fully address these problems, a child may require several surgical procedures, performed at different times. That's why a team approach is often used to treat this complex condition. Members of the medical team may include an oral surgeon, a pediatric dentist, an orthodontist, a plastic surgeon, and other specialists. In general, the first goal of treatment is to repair or “close” the gap in the lip and/or palate as soon as it is practical for the child — as early as 2 to 9 months of age. Follow-up treatment may be needed to restore the appropriate form and function of the lips, teeth, and jaws (for proper speech, eating, etc) and to correct hearing problems. These procedures may include plastic surgery, orthodontics, orthognathic (jaw) surgery and speech therapy. Cleft lip or palate surgery is usually performed in a hospital setting, and may be done when an infant is 6 to 12 weeks old. Intravenous sedation or general anesthesia is used, so your child won't experience any pain. In cleft lip surgery, an incision is typically made on each side of the cleft. This creates several “flaps” of tissue, which are then sutured (stitched) together to close the gap. Suture lines are generally planned to follow the facial contours, so that the surgical scar will be as unobtrusive as possible. Cleft palate treatment involves rebuilding the roof of the mouth, including soft tissue, muscle and bone. The initial surgery is often performed between the ages of 6 and 18 months. Like cleft lip surgery, it relies on specialized “flap” techniques to reposition soft tissues and close the gap. Before or after surgery, your child may need to wear a special appliance such as an obdurator (artificial palate) or a nasal alveolar molding device (NAM), a type of retainer. Depending on how complex the child's condition is, additional procedures may be required after the initial treatment to fully correct any defects. A child's treatment plan will often include pediatric dental examinations beginning around age one. Bone grafts to repair the hard palate may be recommended at age 8-11 years, when the cuspid teeth are developing. To correct problems with the alignment of teeth, orthodontic care may be needed beginning around age 12. In some situations, orthognathic surgery is recommended to address more severe jaw problems. Handling a child's cleft lip or palate can be a challenge for caregivers and family members — but it's important to keep in mind that this relatively common birth defect can be successfully treated. Many who have this condition have gone on to become well-known performers, politicians, sports stars… as well as moms and dads, friends and neighbors.